Slide the HDD in the direction of the arrow to disconnect the HDD from the interface connector. 4. Lift the hard disk drive module out of the bay. NOTE To prevent damage to the device, avoid pressing down on it or placing heavy objects on top of it. 5. Remove the four 4 screws two each side securing the hard disk to the carrier. 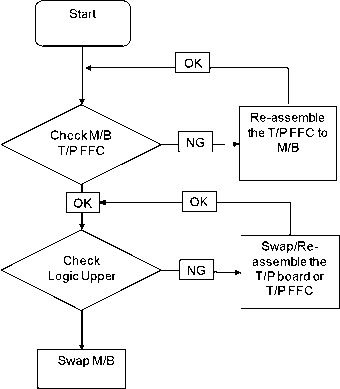 Boot Sequence Selector allows the boot order to be changes without accessing the BIOS. 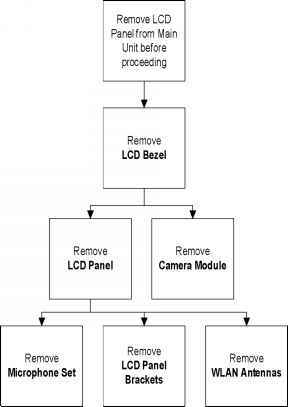 To use Boot Sequence Selector, perform the following steps 2. Execute BS.exe to display the usage screen. 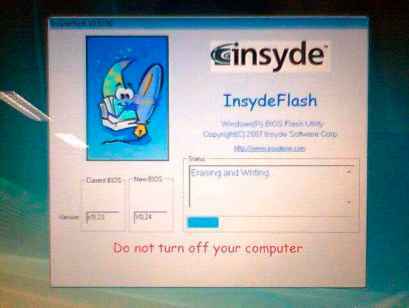 F loppy gt IHardDisk gt MardDiskl gt f CD-R K 3 gt LfiN 3 gt Floppy 3 gt MardDiskl 3. 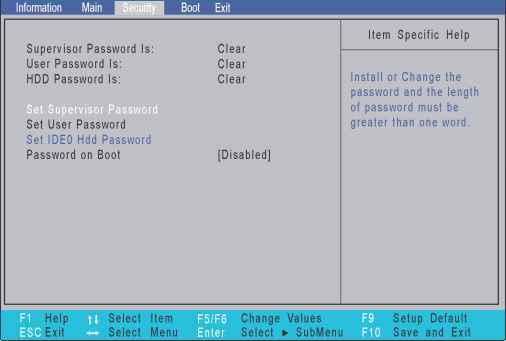 Select the desired boot sequence by entering the corresponding sequence, for example, enter BS2 to change the boot sequence to HDD CD ROM LAN Floppy. Replace two 2 brackets to the LCD Panel. 2. Secure the LCD Panel using four 4 screws. 3. 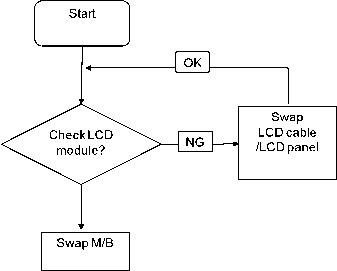 Connect the LVDS cable to the LCD Panel and reattach the clear connector tape. CAUTION Align the cable with the camera module. If the cable is misaligned, the camera module may shift causing the camera to sit in the wrong location. 4. Lay the cable across the LCD Panel in the area indicated between the green lines. Press down to adhere the cable. Line the DIMMcard up with the slot. 2. 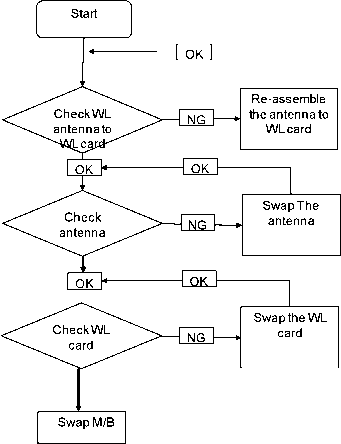 Push the DIMM card down until there is an audible 3. Replace the DIMM cover by first lining up the guide 4, hooks on the top edge. 5. 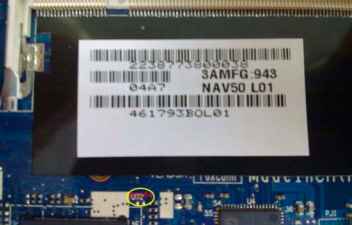 Secure the DIMM cover using one 1 screw. Press down on the cover to lock all guide hooks. The cover should be flush with the device. 5. Secure the DIMM cover using one 1 screw. 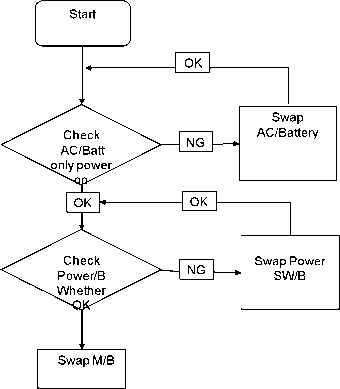 See Removing the LCD Module on page 69. 2. 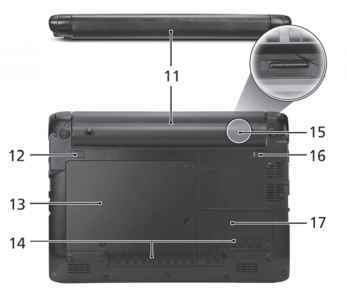 Remove the two 2 screw caps and two 2 screws from the LCD Bezel. 3. 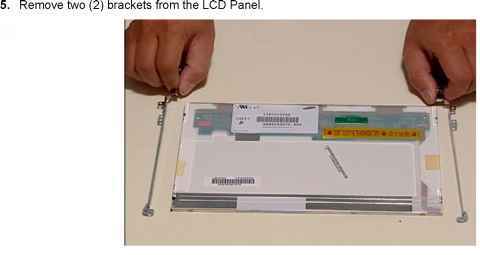 Carefully pry the LCD Bezel from the LCD Assembly using both hands. If necessary, use a plastic pry to release the corners of the bezel. When all the guide hooks have been released, lift the bezel clear of the assembly. Insert the HDD in to the HDD Carrier and secure the Carrier to the HDD by replacing the four 4 screws. 2. Insert the HDD Module into the Lower Cover as 3. Slide the HDD Module in the direction of the arrow to shown. connect the interface. 4. Replace the HDD door by lining up the guide hooks 5. 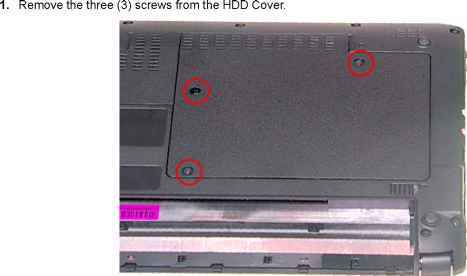 Remove the three 3 screws from the HDD Cover. as shown.